Ernest B. Spinosaurus tries to stay on Santasaurus’ nice list, but he’s good at breaking stuff and really, really good at getting caught. Meet Ernest B. Spinosaurus. 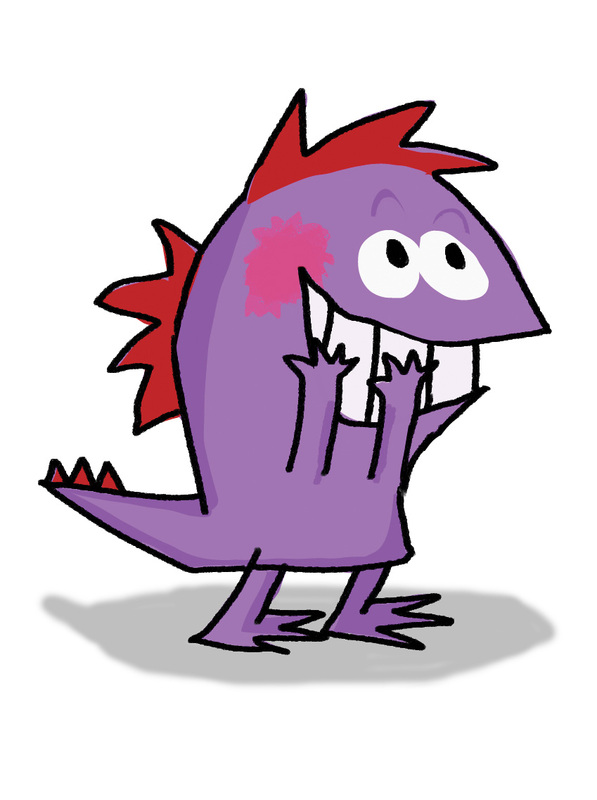 He’s a young dinosaur from the Cretaceous period. He’s here today to answer some of my questions. 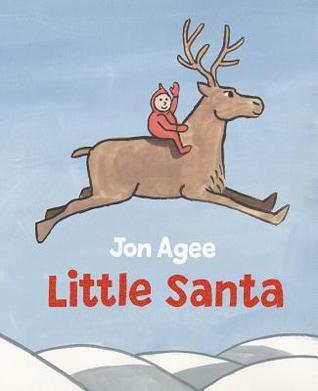 The book, DEAR SANTASAURUS, is a collection of your letters that you wrote to Santasaurus all year long. Most kids write one letter. You wrote 16. Why? I really wrote like a million. These were just my favorite. I think Santasaurus likes getting my letters. He’s never said it, but I’m pretty sure that I’m his favorite Spinosaurus. Do you write letters to other dinosaurs? Yep! I like to write my dad notes when he goes to the grocery store, so he remembers to buy Chocolate Meteor Bite cereal. (He always forgets!) I also write letters to my gram, and my best-friend Ty, and to the president, and to my favorite stuntdino Pteranodon the Terrible. 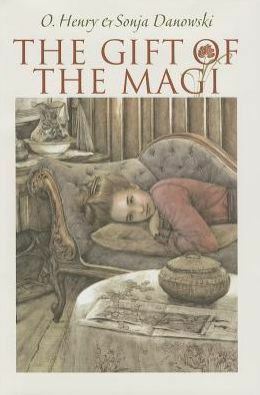 Do you think you will be a writer when you grow up? No. I want to be a mail carrier. Maybe a stuntdino mail carrier. In your letters to Santasaurus, you admit to getting in trouble often. Why do you think this is? Adults have sooooo many rules. I forget a lot of them a lot of times. Like I forget I’m not supposed to eat off the floor. I’m not supposed to play near active volcanoes. I’m not supposed to paint my sister. Like I said, there are a lot of rules. I wish Mom and Dad would make a list. Besides the Jurassic Turbo Scooter X9 that you’ve asked for in your letters, do you have another Christmas wish? I hope all kids gets what they want! And maybe moms and dads too. We can all be happy at the same time. That would be awesome. 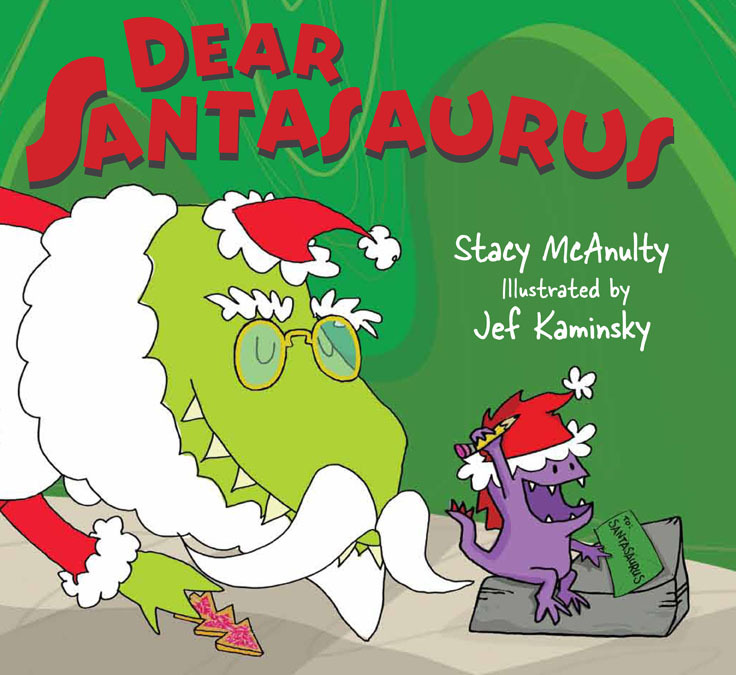 This interview with Ernest B. Spinosaurus is part of Stacy McAnulty’s DEAR SANTASAURUS blog tour. And with each stop on the blog tour, Stacy is making Christmas cookies. 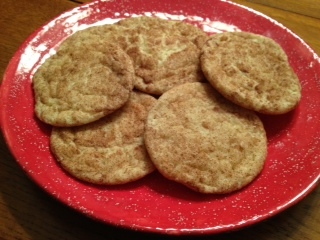 Today’s cookie is a Snickerdoodle. PICTURE BOOK IDEA #19: How about a story of an ingenious turkey who comes up with ways to avoid being part of Thanksgiving dinner? I saw this cartoon about a turkey who crocheted a kitty hat to avoid the farmer’s butcher axe. I thought it would make a great idea for a funny kid’s book. 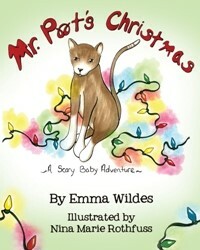 PICTURE BOOK IDEA #20: In A Kitten for Christmas, a young girl tries to show her parents how responsible she can be so they will buy her a kitten for Christmas. PICTURE BOOK IDEA #21: The Candy Store finds a young boy dreaming of what it would be like to own his own candy store. 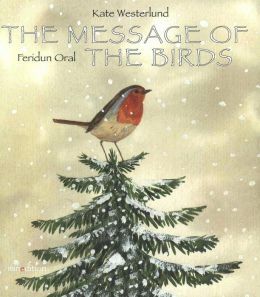 It’s Day 18 of Picture Book Idea Month (PiBoIdMo). Coordinated by Tara Lazar, this annual event asks writers to set a goal of coming up with 30 picture book ideas during the 30 days of November. PICTURE BOOK IDEA #18: This might not be the best idea I’ve ever come up with, but how about Happy Valentine’s Day, Not! the story of a little girl who is grossed out by the boy who gives her a valentine at school. Boys have cooties after all. She does everything to avoid the kid the rest of the day, until a bully picks on her and the boy comes to her aid. Maybe he isn’t so yucky after all. Picture Book Idea Month (PiBoIdMo). This is the last week before the church’s annual bazaar. I had a meeting this morning. Oh, and while I am typing this, nine screaming girls ranging in age from 6 to 11 are two doors down for the Lil Princess’ sleepover birthday party. While the mind has been willing, the eyes and fingers have been weary. PiBoIdMo is coordinated by Tara Lazar, this annual event asks writers to set a goal of coming up with 30 picture book ideas during the 30 days of November. PICTURE BOOK IDEA #15: Easter Bunny Socks is a silly story about the year the Easter Bunny decides to deliver multi-colored socks instead of treat-filled eggs. He can’t hack the pressure from people wanting him to deliver healthy snacks instead of chocolate eggs, so he takes up knitting with odd results. PICTURE BOOK IDEA #16: Flag Day Fiasco, the school’s flag goes missing on Flag Day. The kids need to find it before the annual Flag Day celebration. PICTURE BOOK IDEA #17: I Want to Be A Mattress Tester is the story of one little girl’s desire to test mattresses for a living.